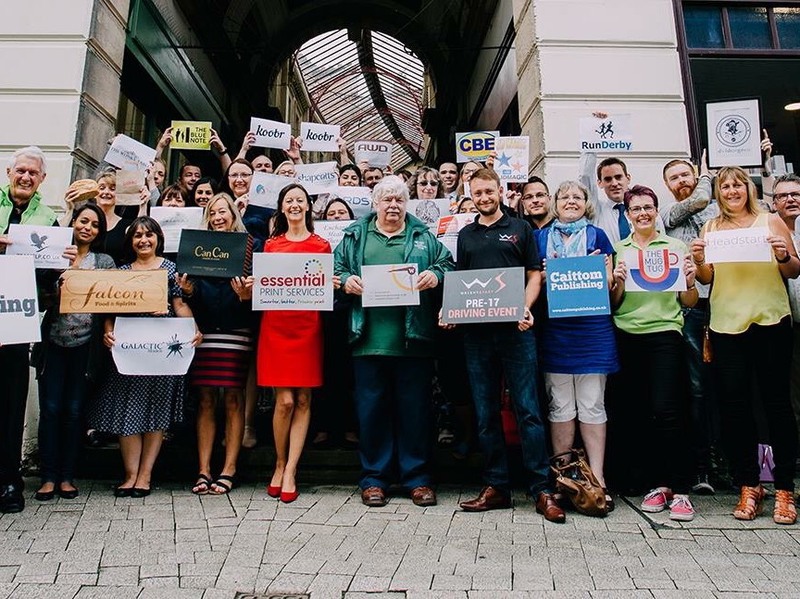 Small Business Saturday UK Champion, Yvonne Gorman of Essential Print Services, has joined forces with local business support group; Derby Hub Ltd and University of Derby to host this year’s free event on Saturday 1st December. Derby Hub will host an extended version of their business meeting, which will include a business exhibition of local companies, networking opportunities and a presentation by Derby Hub members about the benefit of collaboration entitled, ‘Stronger Together’. 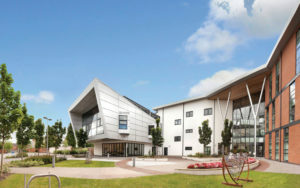 The event will take place at the University of Derby’s Enterprise Centre on Bridge Street, and because of the generous support from the University and Derby Hub, the entire event will be completely free to attend. Delegates will also have the chance to win a ‘Golden Ticket’ to pitch their business in front of the entire business congregation. said Bev Crighton, External Engagement Lead at the University of Derby. explained Sarah Loates, Derby Hub Director and Managing Director of Loates HR. said Yvonne Gorman, Managing Director of Essential Print Services and Small Business Saturday UK Champion. added Craig Barker, Derby Hub Director and Managing Director of Creative Agency; Koobr. concluded Owen Conti, Managing Director of Code 56, fellow Derby Hub Board Member and Marketing Derby’s Rising Star 2018. Other local business support organisations will also be on-hand to talk to such as Derby City Council, East Midlands Chamber, the University of Derby, FSB, the Growth Hub and the D2 Business Starter Programme. Anyone who would like free exhibition space at the event should email admin@smallbusinessderby.co.uk(subject to availability). Free tickets are available at www.smallbusinessderby.co.uk. 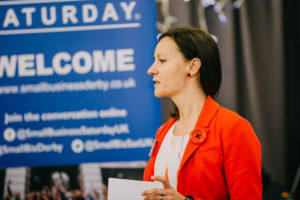 To stay up to date with the latest news about the event, join the local Small Business Saturday UK team on the Facebook group; search ‘Small Business Derby” or follow @smallbizderby on Twitter. In 2017 the #SmallBizSatUK campaign trended at number one in the UK on Twitter during 2017, reaching over 115 million people globally. The Prime Minister and the Mayor of London were among those publicly supporting the campaign. Over 87% of local councils also supported the campaign. The official countdown to Small Business Saturday, includes a daily celebration of the ‘Small Biz 100’ through social media. The Small Biz 100 are a selection of some of the best small businesses in the UK, and have been chosen to help spotlight the success of such companies to raise awareness about the positive impact they can have. Directions: Based in the heart of Derby city centre, the Enterprise Centre is just 9 miles from J25 M1; 2 miles from Derby train station with journey times to London St Pancras in just 90 minutes. Free onsite parking is available.